Want to make yourself a colorful friend? 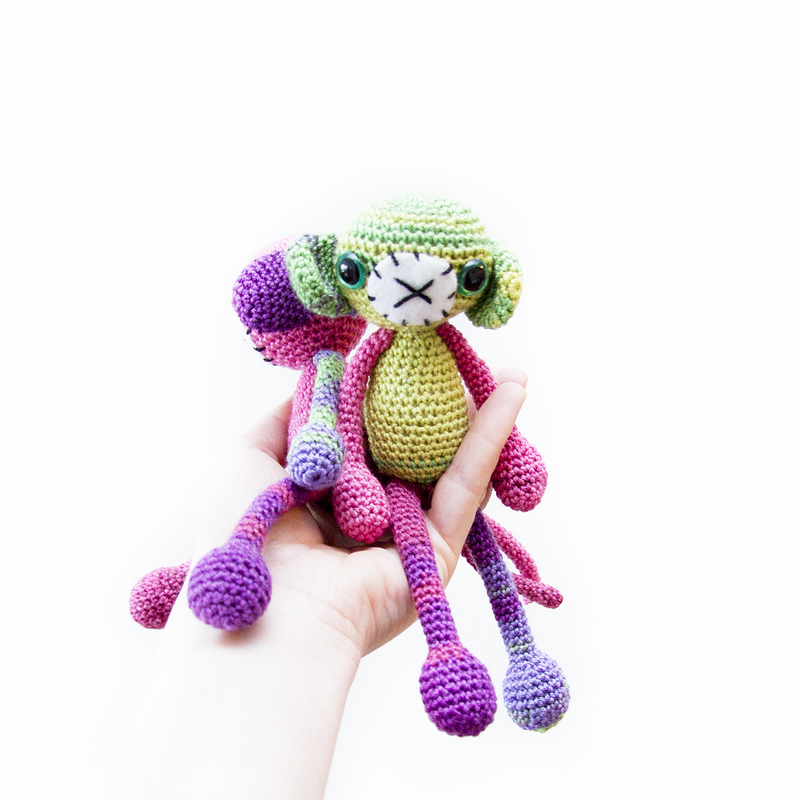 Below is the pattern for Geir, the longlegged colorful monkey. I made Geir using Alize Diva Batik acrylic (100g/350m) and a 2.0mm hook. You can use any yarn you’d like, just adjust the yarn to fit the gauge of your yarn. 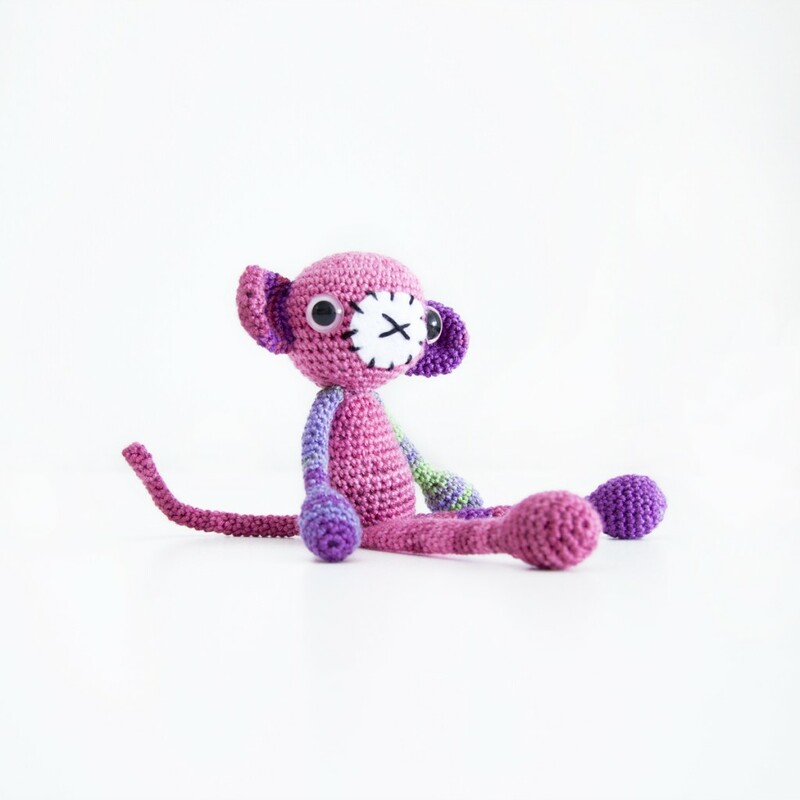 The size of your final toy will depend on yarn/hook used. Work in spirals. US terms. 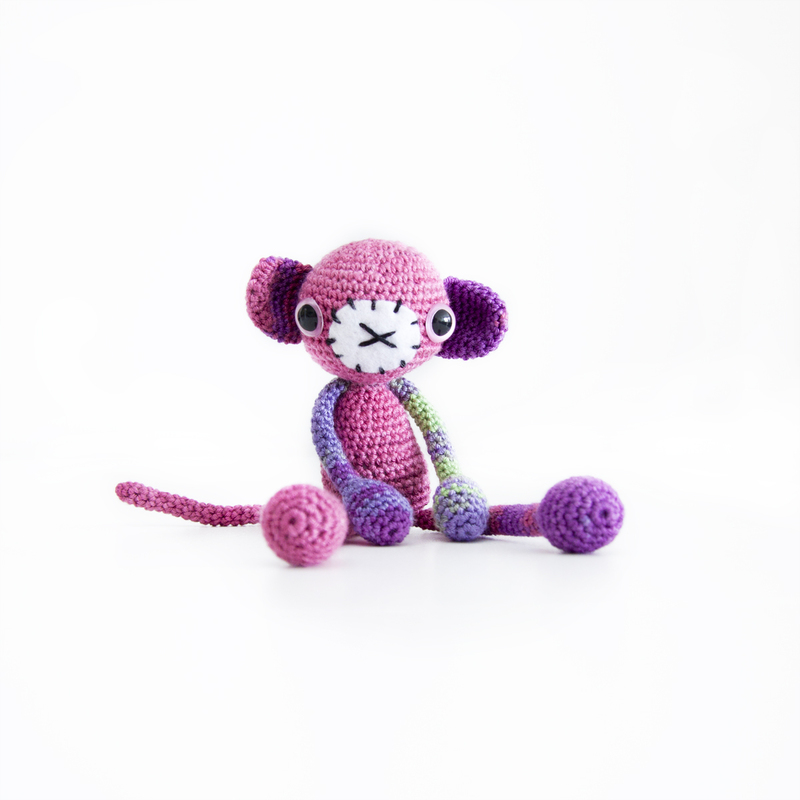 Crochet together ends, leave a tail for attaching to body later. Flatten and crochet tog ends. Fasten and leave tail for attaching to body later. 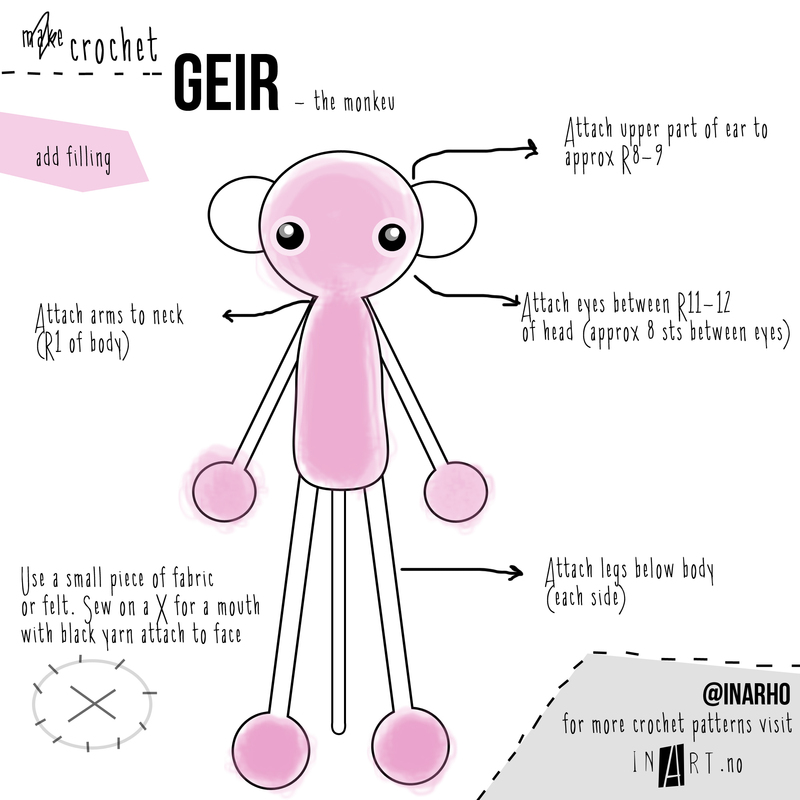 Share the love: This is a free pattern and you’re free to do whatever you want to with your finished Geir, keep him, gift him or sell him. If you want to share the pattern please provide a link back to this site (alternatively my ravelry design profile or my instagram account: @inarho). Please don’t sell or distribute the pattern in any other way.